There are so many pencil grip devices out there. 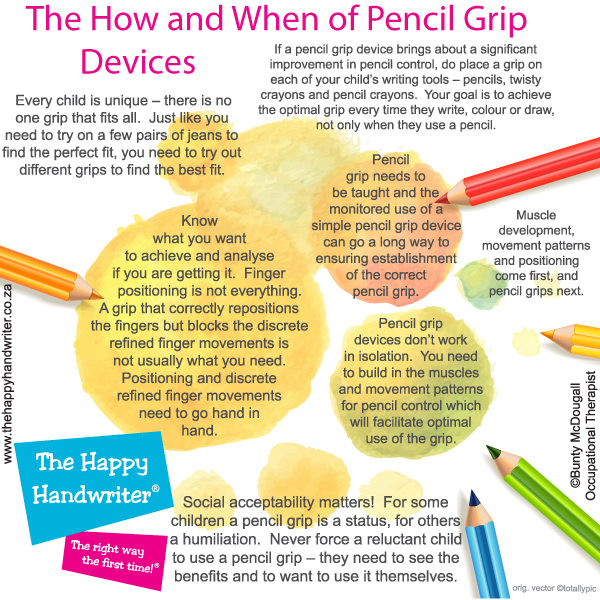 When we should and shouldn’t be using them can become somewhat bewildering and leaves us asking: “which pencil grip?” Occupational Therapist Bunty McDougall from The Happy Handwriter, has laid out 7 tips around the “how” and “when” of pencil grips. If you would like to try out the different grips with your child you may like to take a look at our pack of Assorted Grips which includes one of each to help you choose the best pencil grip for your child. If you are sure which is the correct grip for your child, you will probably want to have one for each of their writing implements. 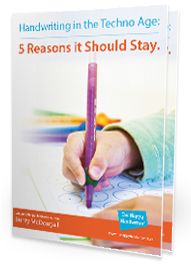 This will ensure that each time they pick up their pencil, your child is doing so with the correct grip. With time, it is our hope that this will establish an efficient grip. You may wish to take a look at our wide range of pencil grips.